Chicago’s Police Suicide Rate Is Higher Than National Average. What’s Being Done About It? In December, East Lyme Police officers went to a motel room and found 25-year-old Corina Zukowski lying in a pool of blood with stab wounds to the neck, hands and chest. The black silhouettes posted to BlueHelp.org are immediately recognizable as police officers. Nameless and faceless, each outline represents an officer who took his or her own life. SPC’s Center for Public Safety Innovation (CPSI) has received a $190,000 grant from the Federal Emergency Management Agency (FEMA) for suicide prevention training for firefighters. While September is National Suicide Prevention Month, preventing suicide among the nation’s first responders is a year-round focus for CPSI. The Carson J Spencer Foundation, in partnership with the International Association of Chiefs of Police (IACP), National Action Alliance for Suicide Prevention, and the American Association of Suicidology, launched a new video today entitled Breaking the Silence: Suicide Prevention in Law Enforcement, making a clear call to action to Police Chiefs around the world to make suicide prevention a health and safety priority. New Resource: Breaking the Silence: A National Symposium on Law Enforcement Officer Suicide and Mental Health. 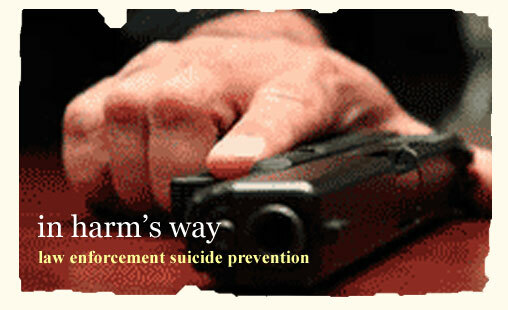 Developed by The International Association of Chiefs of Police (IACP). Article from the National Action Alliance for Suicide Prevention, by Yost Zakhary, Director, Woodway Public Safety Department, Woodway, TX, First Vice President, International Association of Chiefs of Police. The third edition of Stress Management in Law Enforcement by Dr. Leonard Territo and Dr. James Sewell is once again a carefully selected collection of the leading articles on stress and its consequences for police personnel. Order through cap-press.com and get a 25% discount when you use this coupon code: STRESS3E before 9/30/2013. Financed by the Pentagon and produced by the Institute of Medicine, (that influential member of the National Academy of Sciences with particular political and legislative sway), a 400-page report recommended a broad range of PTSD-related initiatives. 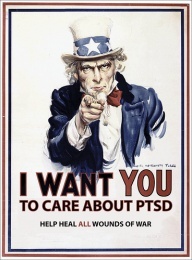 They include annual PTSD screenings for troops returning from combat, and a more coordinated approach to supporting those with PTSD between the Department of Defense and the Veterans Administration. Choose the area of crisis intervention, stress management, peer support or read news and publications. and do not represent the official position or policies of the United States Department of Justice. A Law Enforcement Suicide Prevention Toolkit was designed to help you present suicide prevention training within your department, reduce the stigma associated with seeking help, and encourage your officers to roll backup for each other. You can select an expert to visit your department as part of training or as a focused event. Annual training events will be scheduled throughout the nation. You will have the opportunity talk to other departments and join in the prevention effort.